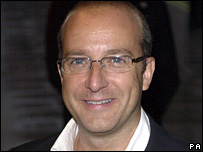 Hypnotist Paul McKenna has won his High Court libel action over a newspaper claim that he bought a fake degree. The TV personality disputed a Daily Mirror article in October 2003 which said he had a "bogus degree" from La Salle University, Louisiana. McKenna, who also runs a self-help business, claimed he was "pilloried" by journalist Victor Lewis-Smith on around 10 occasions from 1997. Damages in the case will be finally decided in October. The ruling on liability followed a trial at which McKenna said he had been made a "laughing stock". In his article, Lewis-Smith said: "I discovered that anyone could be fully doctored by La Salle within months (no previous qualifications needed), just so long as they could answer the following question correctly: 'Do you have $2,615, sir?'" The newspaper's publishers, who denied libel and pleaded justification, called evidence from Lewis-Smith's co-writer Paul Sparks who said he was told by La Salle that he could obtain a doctorate for that fee within a matter of months and without undertaking any formal course. McKenna, 42, whose business has an annual turnover of £2.5m, was not in court for the ruling. In a statement he said: "I am delighted with the verdict and very relieved that this matter has finally been put to rest. "When Victor Lewis-Smith first claimed that I was misleading the public about the legitimacy of my US degree, I wrote to the Daily Mirror explaining it was untrue. "Unfortunately, Victor Lewis-Smith then chose to repeat these damaging allegations eight more times. "Despite this, I asked the Mirror for nothing more than a correction. It was only because of their absolute refusal to do so that I had no choice but to take the matter to court." McKenna was awarded his costs in the action and the judge ordered the newspaper to pay interim costs of £75,000. The judge said of him: "He was determined, indignant, and manifestly proud of his work whatever anybody else may think of it, which he regards as original and as having made a practical contribution to improving the lives of many people. "Whether it is appropriate to characterise it as scholarship worthy of academic recognition is another matter. No doubt many would think not. "But one thing which is entirely clear to me is that Mr McKenna to this day does not believe it was bogus or that he misled anyone in allowing himself to be referred to as a PhD."